Vehicle dynamic is an integral part of an automobile vehicle which is as important as the power train of a vehicle, as if we need a power train to run a vehicle we also need vehicle dynamics systems to keep the vehicle running with stability, as we know suspension system is the part of vehicle dynamics that provide surface contact along with the turning stability to the vehicle but let’s just think, turning the direction by the vehicle while moving invites lot’s of forces to disturb the stability of the vehicle which give rise to many questions like How it is done?. What are the requirements to steer the vehicle in desired direction? To find these answers let’s just study further. A steering system of an automobile is an integral part of vehicle dynamics of a vehicle in which a series of mechanical components having certain important angles comes together to steer the front wheels of the vehicle according to input provided by the passenger through steering wheel. 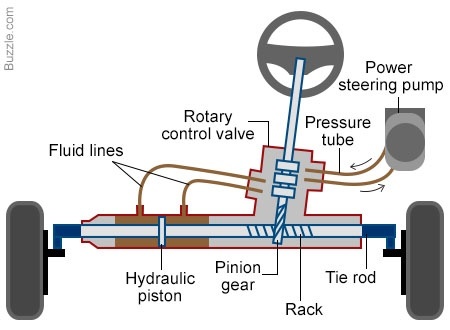 And the power steering system is the advanced steering system in which the effort required to steer the front wheels of the vehicle side to side is reduced by using intermediate electric or hydraulic devices that multiplies the force applied by the driver through steering wheel in order to achieve smooth and quick directional change of the vehicle. Today all the 80% of the cars on road are equipped with the power steering system which has become the basic need of today’s automobile. 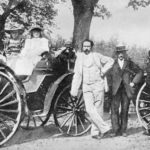 After the introduction of the power steering in 1903, it is found that the number of accidents on the road is decreased to the appreciable limit which in turn makes it the necessity in a 4 wheel drive. Why do We Need Power Steering? Quick response- As the number of the vehicle on the road is increasing day by day and today almost 60% families of the world are having a 4 wheeler in their houses, with this increase in number of vehicles the danger of accidents on road is also increased, so to avoid this danger and to take quick turns required by the road conditions a quick response steering system is required in a 4 wheel vehicle. 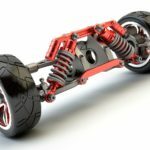 Steering efforts – If we drive old cars like Maruti Suzuki 800 , it is found that the steering wheel of the car feels very hard to rotate when the vehicle is going below 40 km/hr (above that the steering feels less hard) which is found to cause fatigue to the driver while going on a long ride. So a vehicle should be equipped with a power steering system so that the steering effort required to steer the front wheels can be reduced. Bump steer- As we know the bumps of the road is reduced by the suspension system but as the steering system is directly attached to the wheel’s hub some amount of bumps force is also transferred to the steering system which in turn tries to steer the vehicle against the will of the driver due to which a vehicle can lose its stability, though the bump steer can be controlled mechanically by providing optimum scrub radius (angle between the centre line of the wheel and the king-pin inclination of the knuckle) but the power steering controls it in a more effective manner. Return ability- after taking a turn it is found that the steering returns automatically to its original position which in turn automatically straightens the moving vehicle. A vehicle equipped with a power steering system provides better return ability to the steering system. 1. 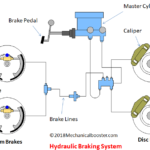 Hydraulic power steering system- It is the type of power steering system in which hydraulic system having hydraulic pump driven by the engine and hydraulic cylinders, is used to multiply the steering wheel input force which in turn reduces the efforts required to steer the front wheels of the vehicle. A highly compressed hydraulic fluid is used inside the hydraulic cylinder that applies pressure on the steering gear. 2. Electro – hydraulic power steering system- It is the modified version of the hydraulic system in which the rotary hydraulic pump which is driven by the engine in hydraulic power steering system is replaced with the hydraulic pump which is driven by the electric motor. It is also called the hybrid power steering system due to the use of both hydraulic and electric components. 3. Electronic power steering system- It is the latest type of power steering system in which the hydraulic system from the hydraulic power steering is completely replaced with electric motors and electric sensors, instead of using hydraulic force ,the motor driven by the vehicle’s battery is used to apply force on the steering gear and torque provided by the motor is controlled by the sensors that detects the position of the steering column. The steering response of this system is quick and very effective that is why it is used in almost all the new cars today. 1. 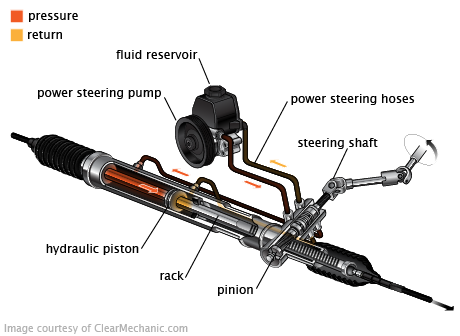 Steering mechanism- Usually rack and pinion steering mechanism is used in power steering in which the rotational motion of the steering wheel is converted into the transverse motion of the wheels by a set of constantly meshed worm gears called rack that provide transverse motion and a pinion that provides rotational motion. 2. Linkages – They are the mechanical constraints that provide relative motion between 2 components, the type of linkages used in power steering is the tie-roads that connects the rack to the knuckle of the wheel in order to transfer the transverse motion of the rack to the wheels. 3. 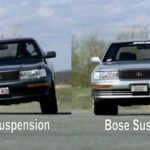 Power device- As we have already discussed above a force multiplying device (either hydraulic or hybrid or electric) is used to multiply the steering wheel force in order to reduce steering efforts. This device is attached with the pinion of the rack and pinion mechanism. 4. Steering wheel- A round steering wheel is used inside a cockpit (operated by the driver) that provides the rotational steering input to the further steering devices in order to steer the vehicle. The working of the power steering system differs with the difference in force multiplying devices used. so to understand the working of the power steering all the 3 methods must be discussed separately. In this type of power steering system as we discussed above the hydraulic force is used to multiply the steering input force in order to smoothen the steering of the front wheels, this hydraulic force is generated by a series of components that includes hydraulic cylinder, rotator hydraulic pump, hydraulic lines, highly compressed hydraulic fluid and a coupling mechanism that can couple this hydraulic system with rack of the steering system. When the driver provides input by rotating the steering wheel, the hydraulic pump driven by the engine starts pumping the highly compressed hydraulic fluid through lines. The hydraulic pressure produced by the pump enters the hydraulic cylinder which in turn applies pressure over the cylinder’s piston. The piston which is under high pressure starts moving from one end to the another which in turn pushes the further fluid through lines, with this movement of piston the input force applied by the driver is multiplied several times. This high pressure fluid sent by the hydraulic cylinder then applies the pressure to the attached pinion through the coupling mechanism which in turn applies high force to the rack gear and the steering action in the front wheels takes place. 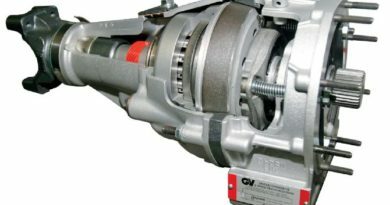 In this type of power steering system the hydraulic pump driven by the engine from the hydraulic power steering system is replaced with electric pump which makes it more reliable, this is the only modification made rest the working of this system is same as the hydraulic power steering system mentioned above. When the driver gives input through the steering wheel the electronic sensors attached to the steering column reads the input and sent them to the electric control unit of the vehicle. The ECU of the vehicle analyses these inputs and sent the voltage signal to the electric motor placed at the end of the steering column whose gear is in constant mesh with the pinion gear. After the motor starts the gear which is in constant mesh with the pinion gear starts transmitting the multiplied torque to the pinion gear which in turn applies this torque to the rack through which it is attached. 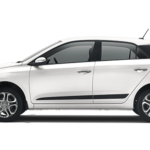 With this torque applied by the pinion over rack , rack moves which in turn steer the front wheels (with the help of the tie rods attached) as per the requirement. ← How Free Piston Engine Works?